I believe that you should take care of your skin first instead of hiding it under a lot of makeup. Skin care is my number one priority then everything else comes second. If you haven’t tried facial oils and cleansers it’s time to start. I know that there are still some people who think that oils may clog pores or feel heavy. Those are not true. 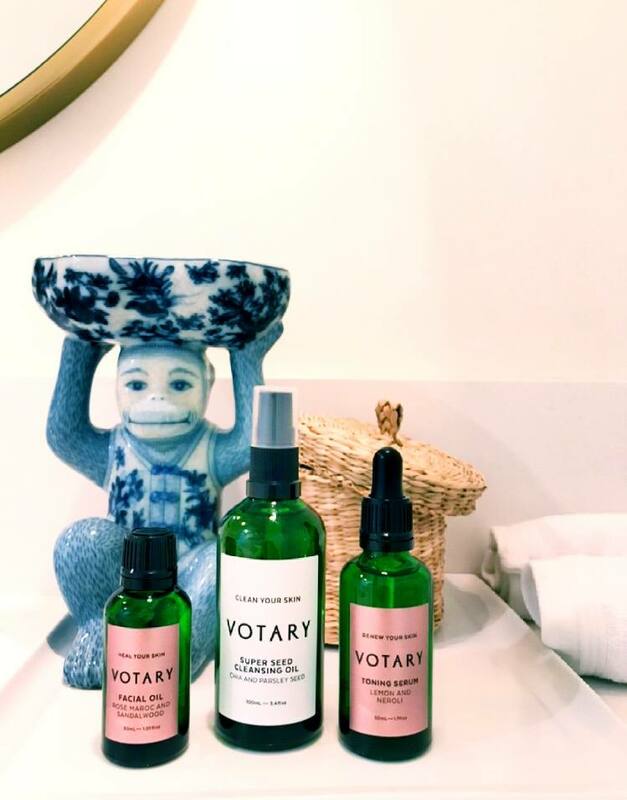 I recently discovered Votary that I got at Space NK. This line was created by British make-up artist Arabella Preston (who is also Kate Middleton’s make-up artist), she wanted to create something that was natural and luxurious. All the products use the natural power of plant oils and active ingredients. They help transform skin making it more hydrated, youthful and beautiful. I only tried three products and now I need to try them all. I started off with the Super Seed Cleansing Oil, which is created from 21 different types of seeds, including green tea, chia, pomegranate, pumpkin, strawberry, and broccoli, and removes makeup, deeply cleanses, hydrates, helps with inflammation, and dullness. It comes with a cleansing cloth and is so easy to use. You lightly wet your hands and then apply 4-5 drops of the oil onto your and then apply the oil to your face. Then the directions are to soak the towel in hot water and wring it out, then you apply the towel to your face. You breathe in the steam and then rub the oil away. This really leaves your face feel soft and hydrated. It’s like a spa service at home. It’s a great way to start and end the day! It’s also great for all skin types from very dry to super sensitive. 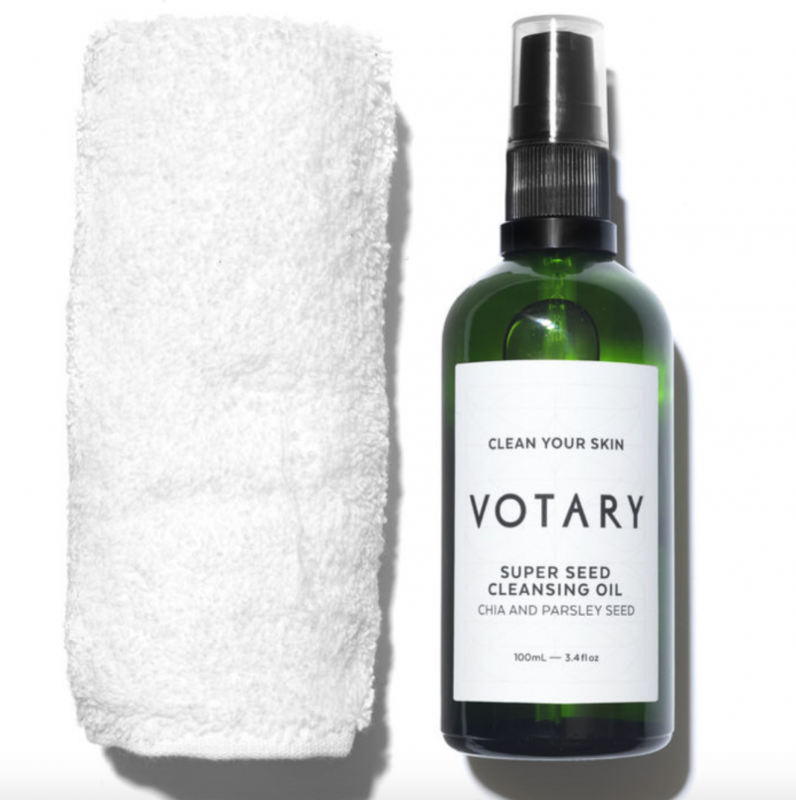 Find the cleanser here, Super Seed Cleansing Oil. I love serums and toners and this is both in one product. 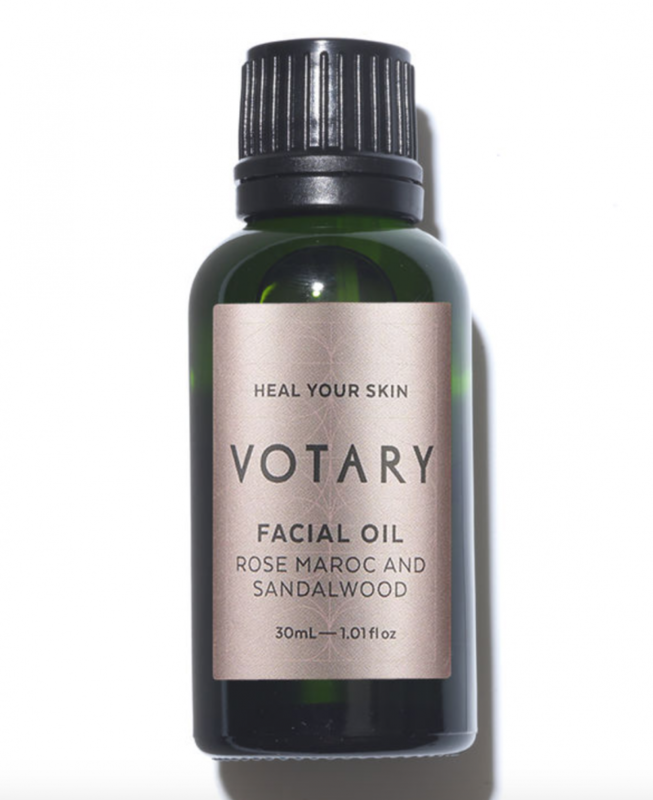 Votary’s Toning Serum in Lemon and Neroli first of all smells amazing and the fragrance is really light and fresh. The toning serum is a light toner and serum all-in-one. It’s a blend of lemon extract, glycolic and hyaluronic acid plumps and renews skin. 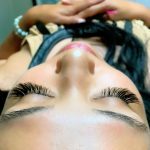 It is really light weight and perfect for all skin types. 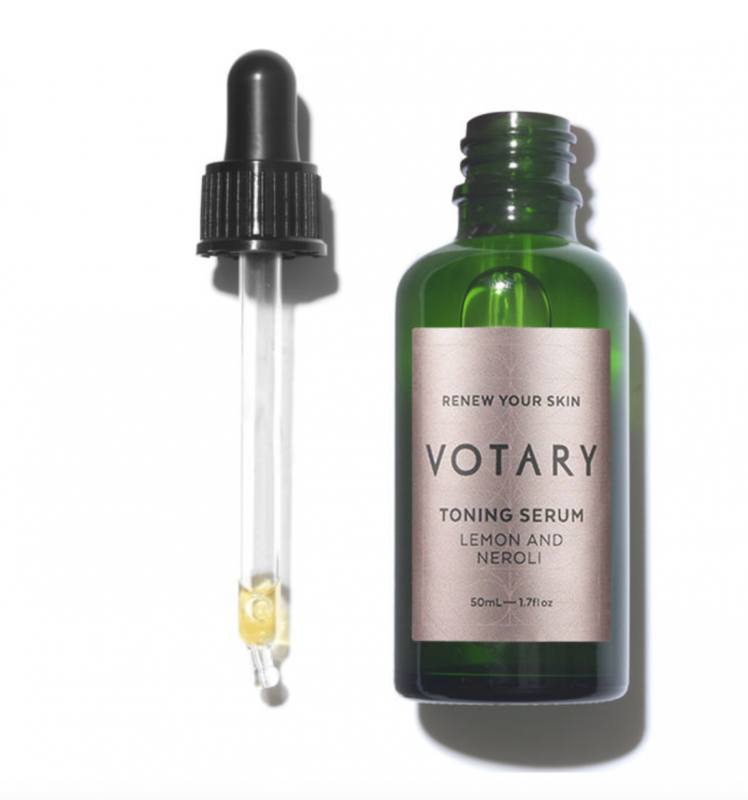 This toning serum will help even out skin tone, soften fine lines, hydrate and give you a glow. You apply a few drops to your hand and then apply it to your face. This is perfect for those with a busy lifestyle or living in cities because it helps fight environmental aggressors and stressed skin. Get it here, Toning Serum. This hands down is my favorite facial oil that I have ever used. The Facial Oil is Rose Maroc and Sandalwood. The scent is so amazing that I wish I had a fragrance made out of it. I love that the oil is light weight and absorbs quickly. I never want this bottle to finish, I’ll probably cry! 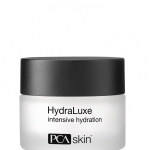 What this does, is that it smoothes and plumps up tired and dehydrated skin. This will nourish your skin and bring it back to life. If you live in a city that has bad air quality this will also protect your skin from pollution and other environmental aggressors. It helps retain elasticity and will leave your skin feeling baby soft. Buy it here, Space NK. 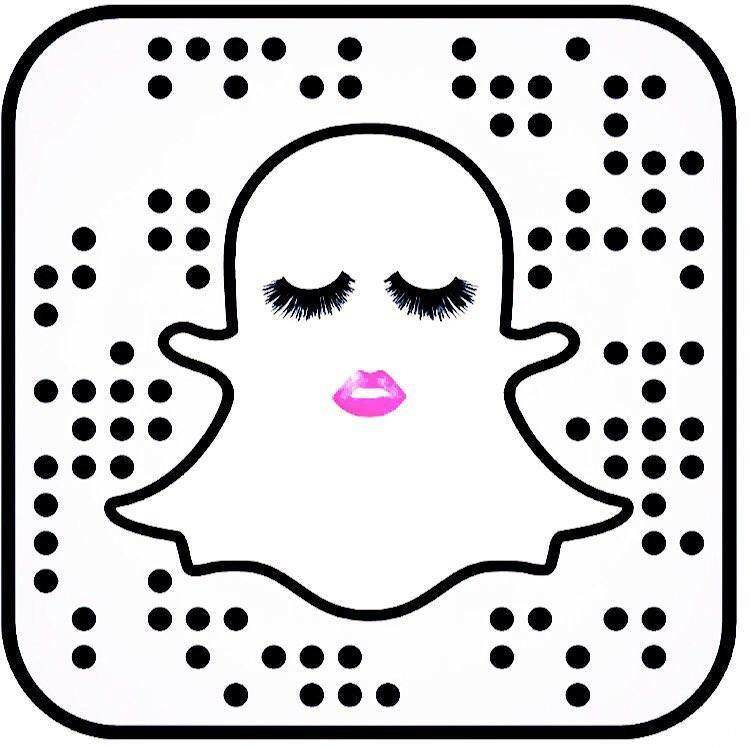 Take care of your skin, not only will your make up look better on but you will feel better, look more youthful and it will make you happy!